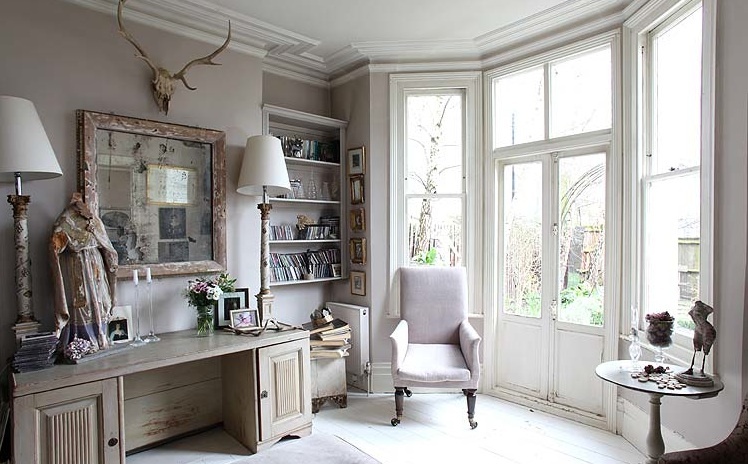 This lovely Victorian cottage is decked out in old pinks, vintage treasures and draped in gorgeous light from the tall windows. Each room has so many unusual and interesting finds that I can not stop looking at the details to see how this effortless styling was created. 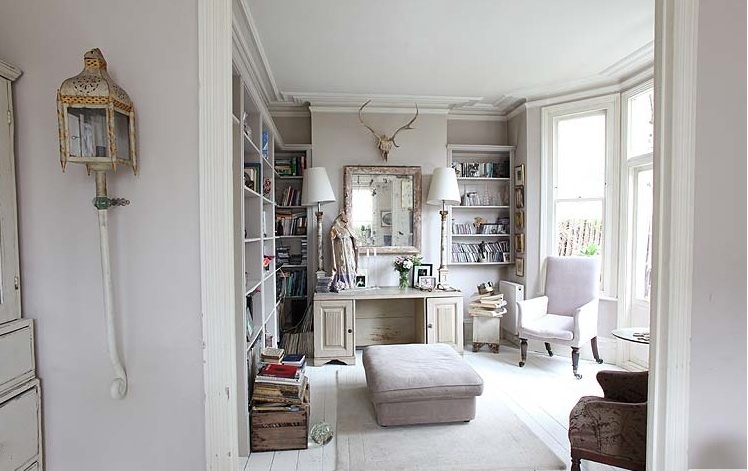 Some of my favourite parts of this home are the slipper pink chair in the sitting room, the tall lamps on either side of the mirror and the bed in the child's room! So different and fun for a kids room don't you think? 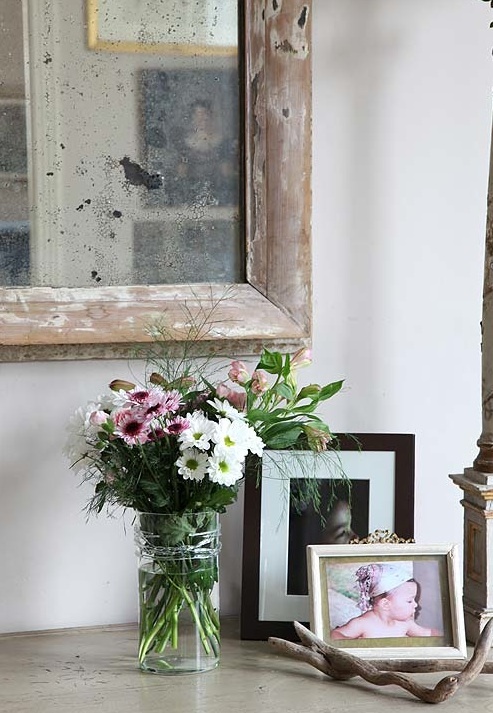 I was featured over at French Country Cottage and at A Delightsome Life! Check it out!